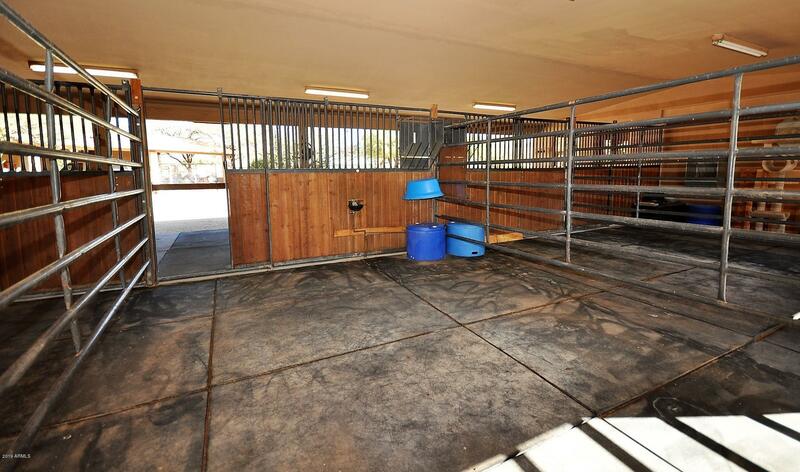 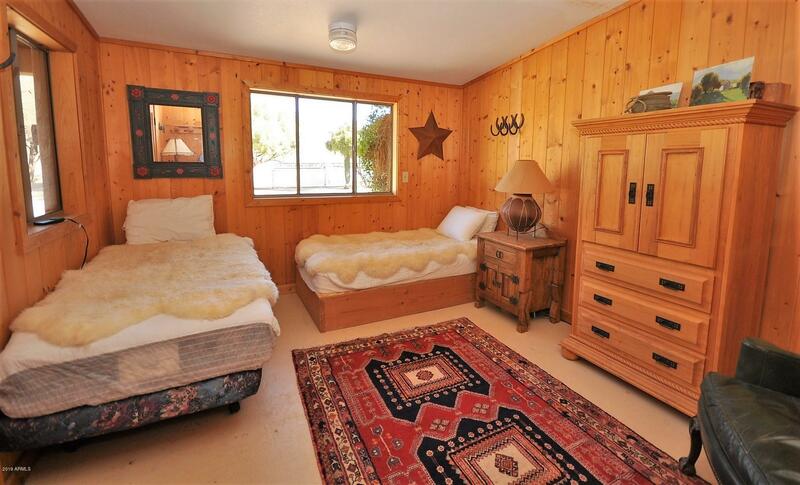 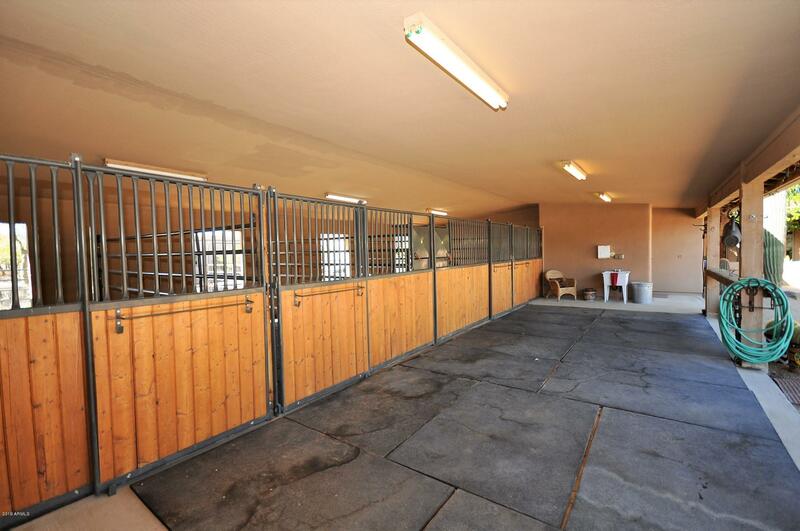 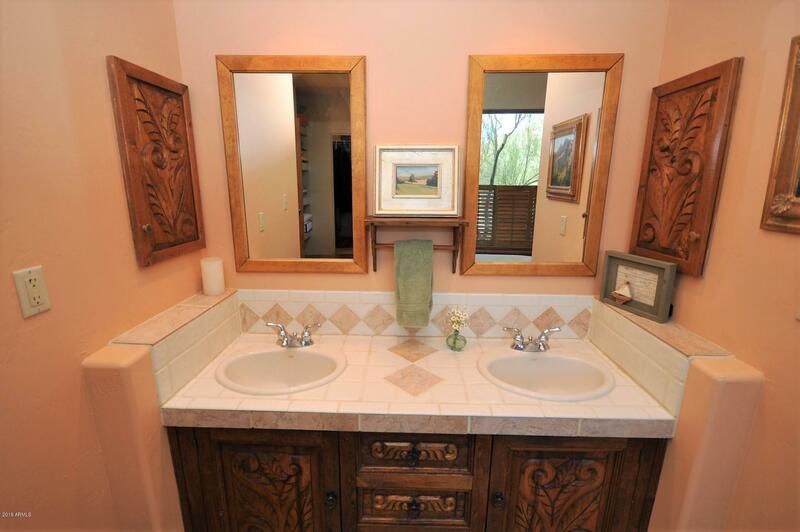 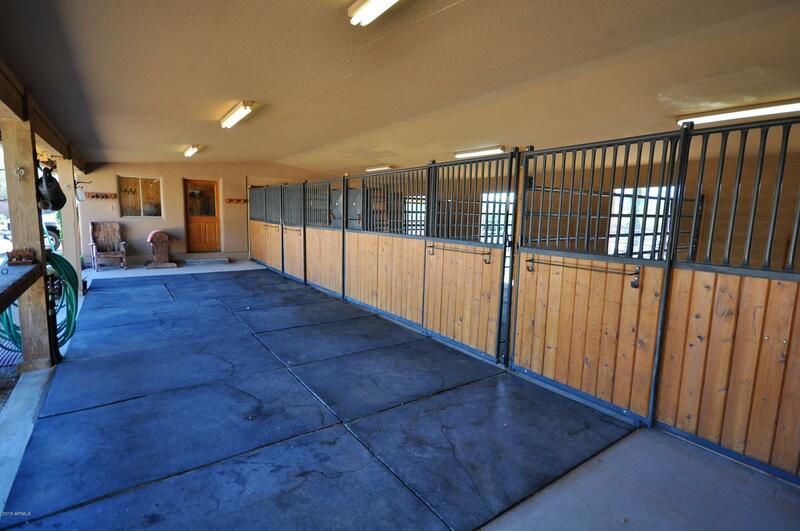 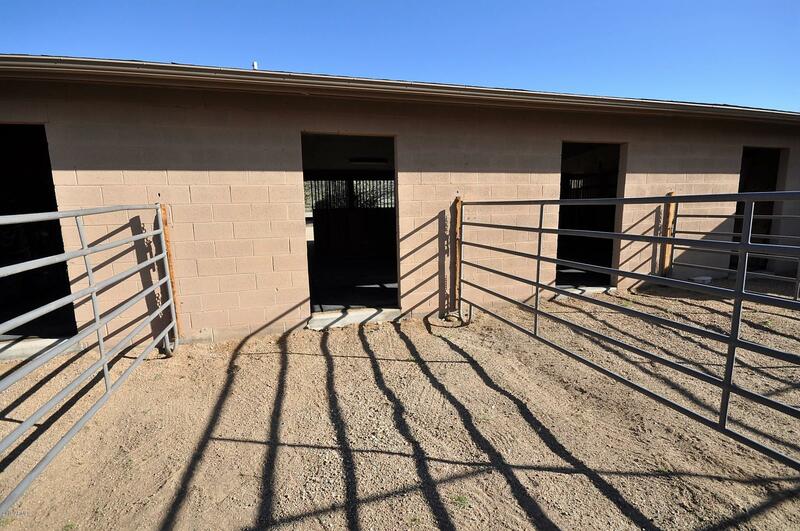 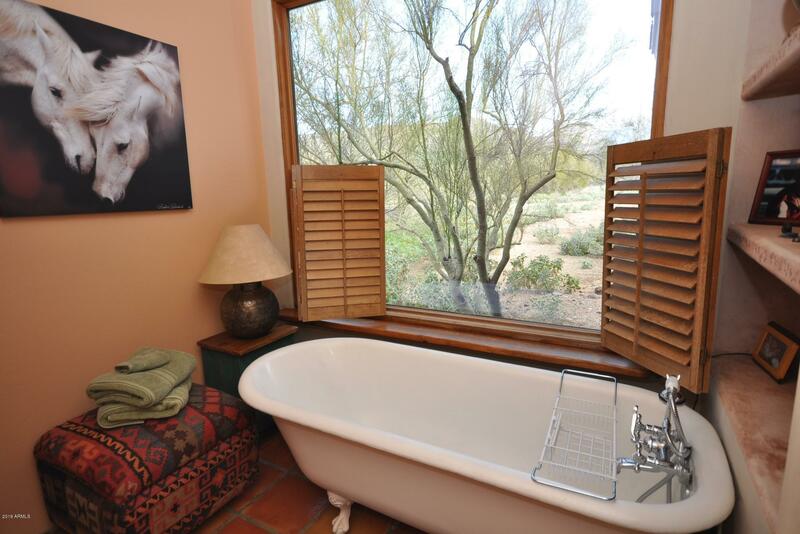 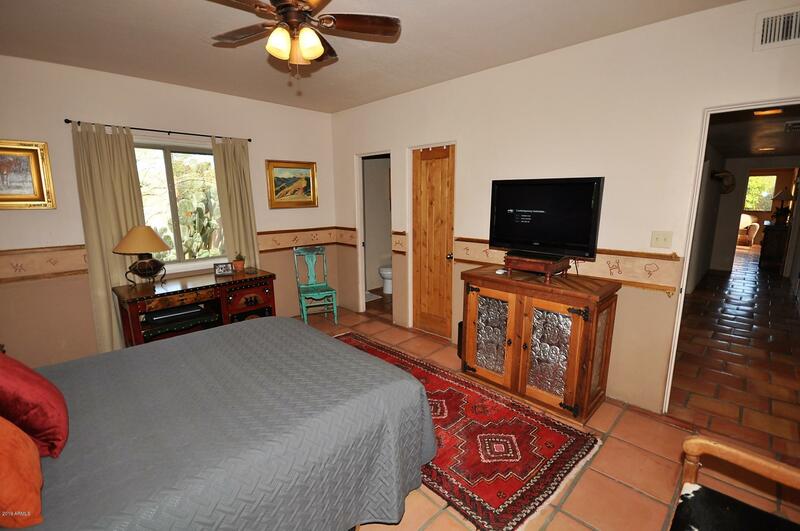 ''Own a piece of the Creek'' - 5 acres+, 4 bedrooms, 5 bath, 3761 SF home with National Park type views on and above Cave Creek Wash. Full horse facilities including 4 stall barn w/hot & cold running water, tack room, 250 X 150 ft. size arena and a 2 bed bunkhouse. 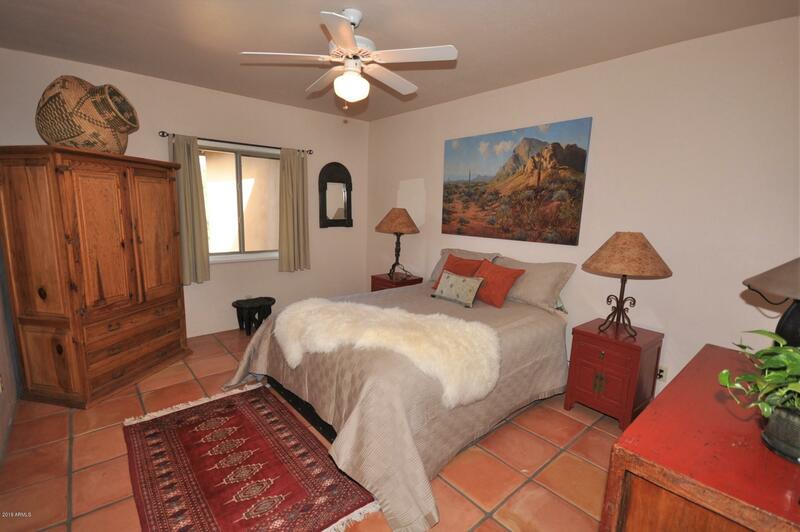 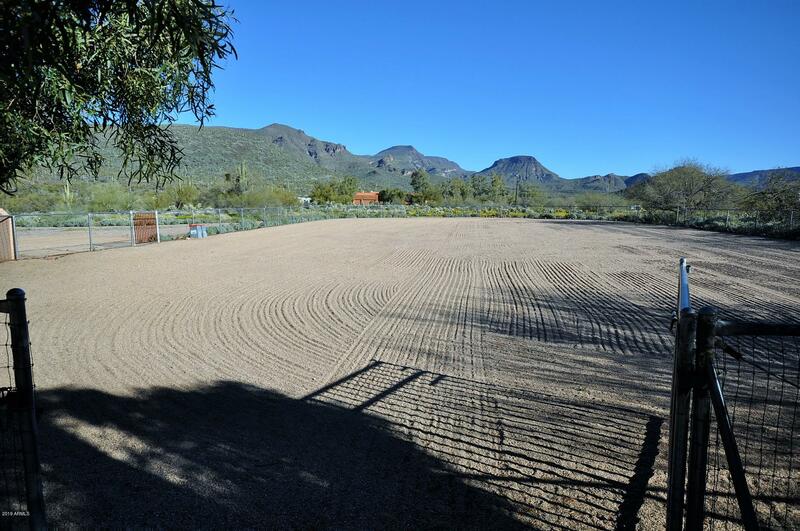 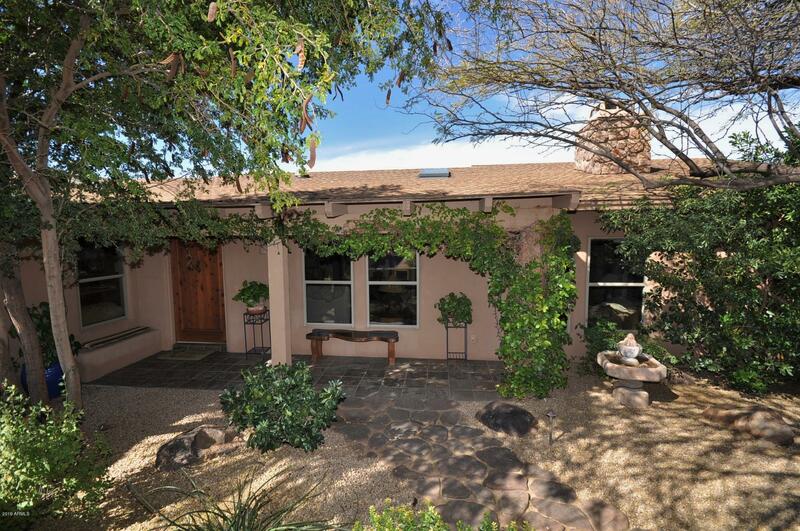 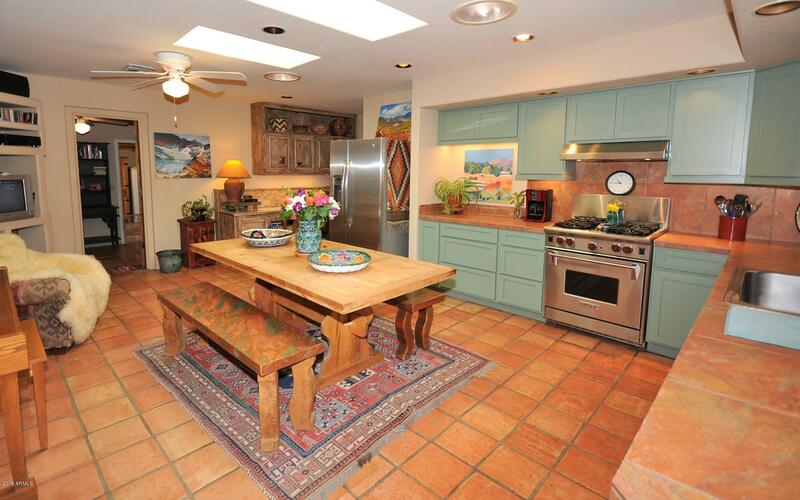 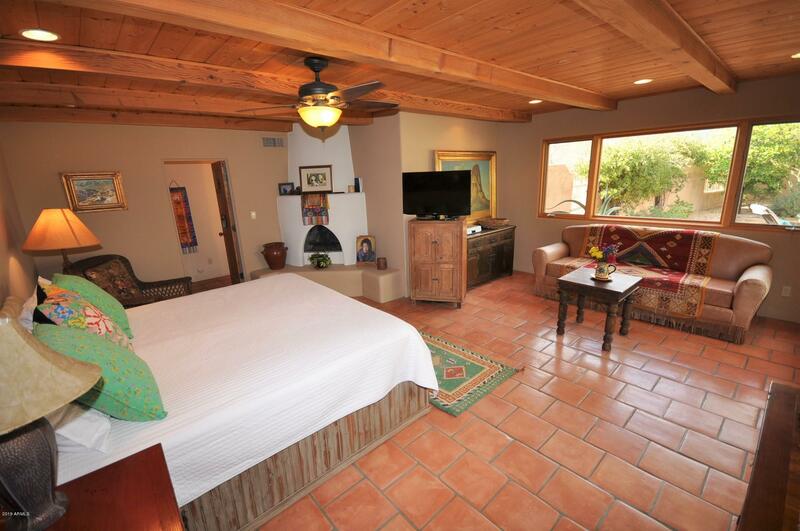 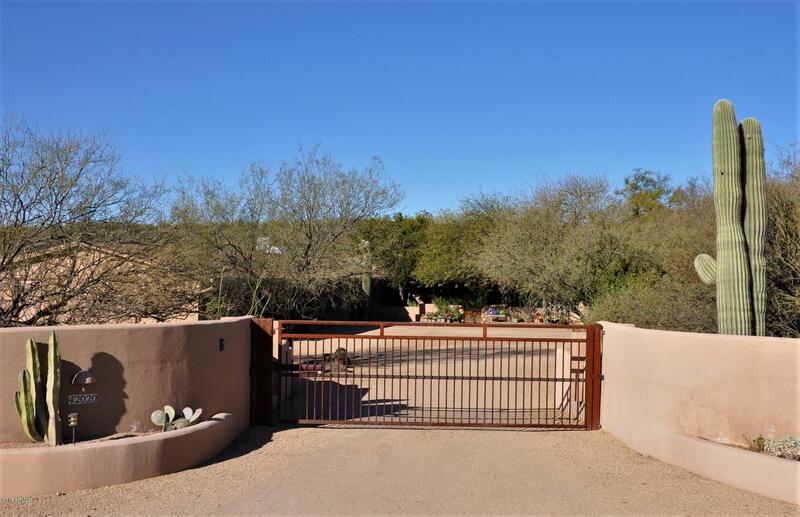 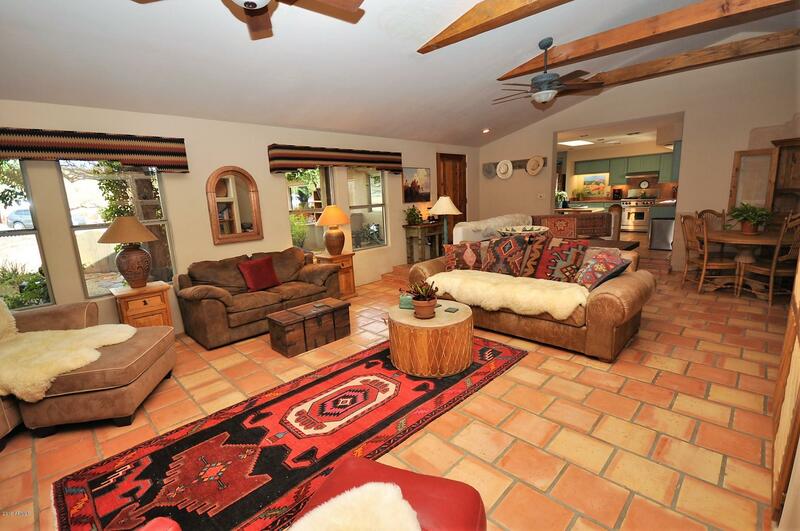 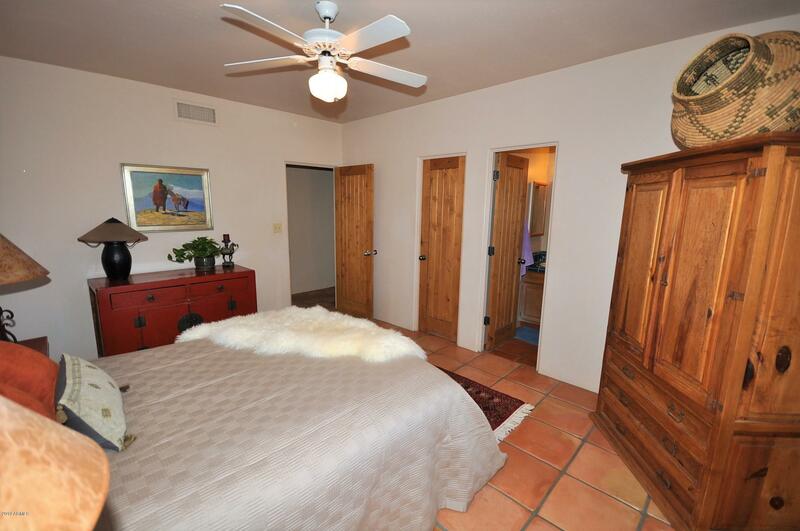 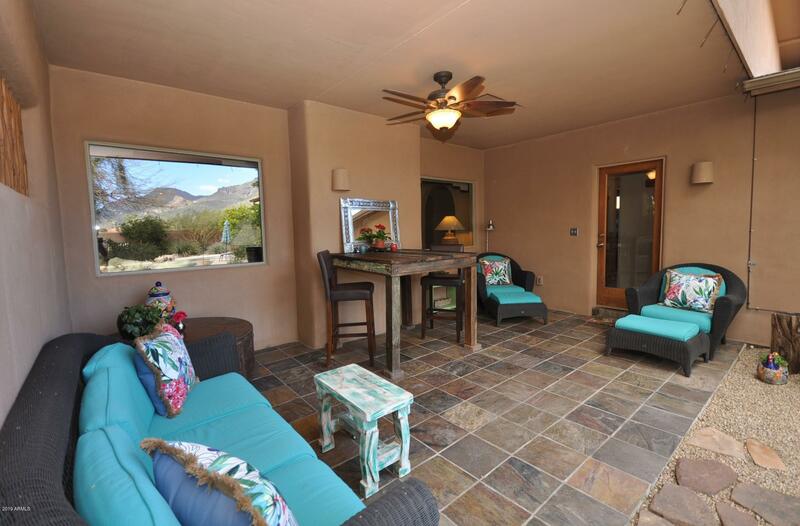 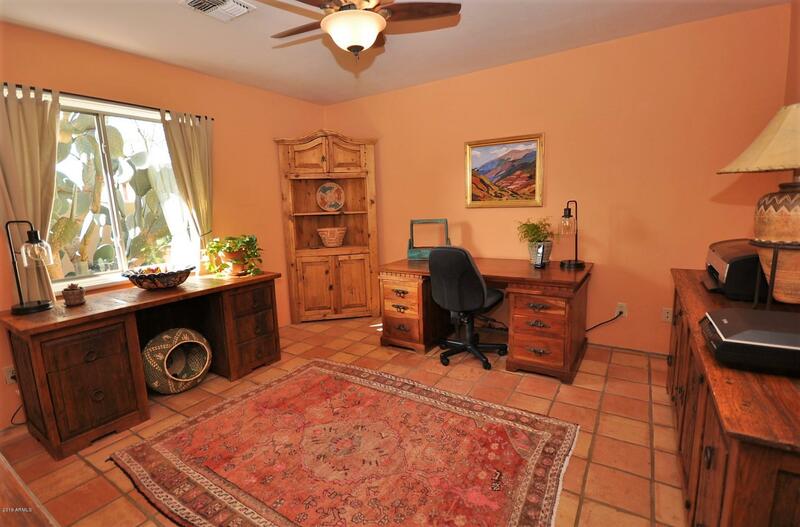 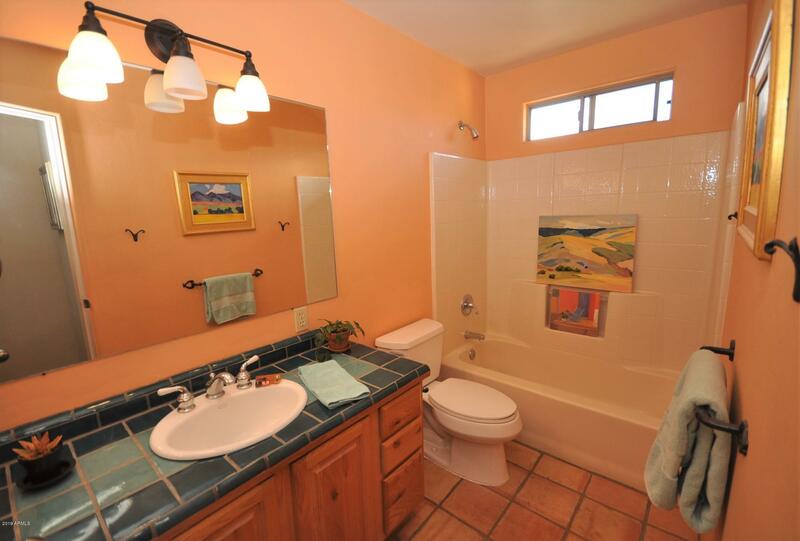 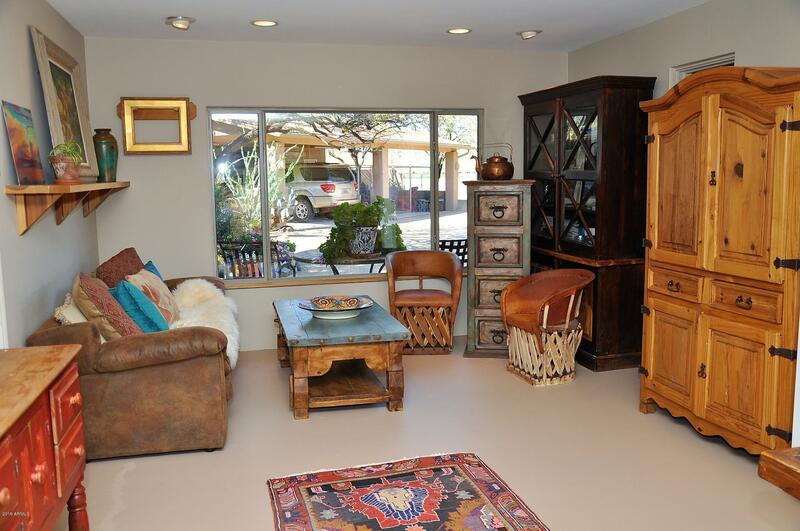 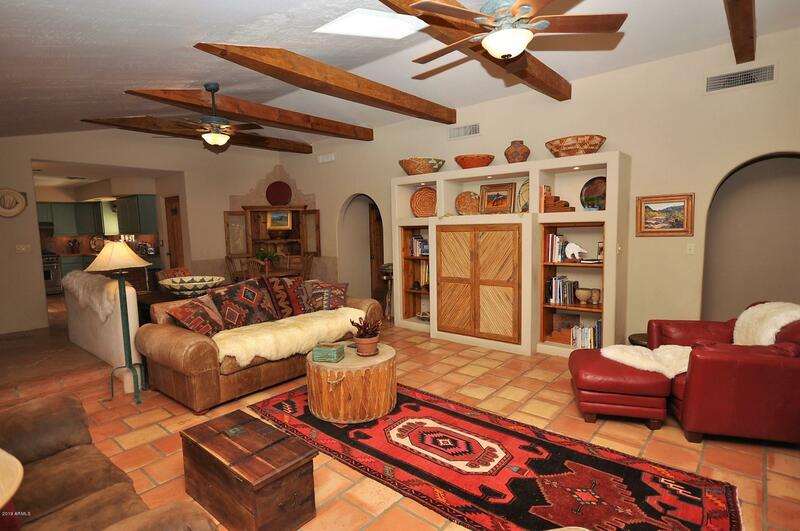 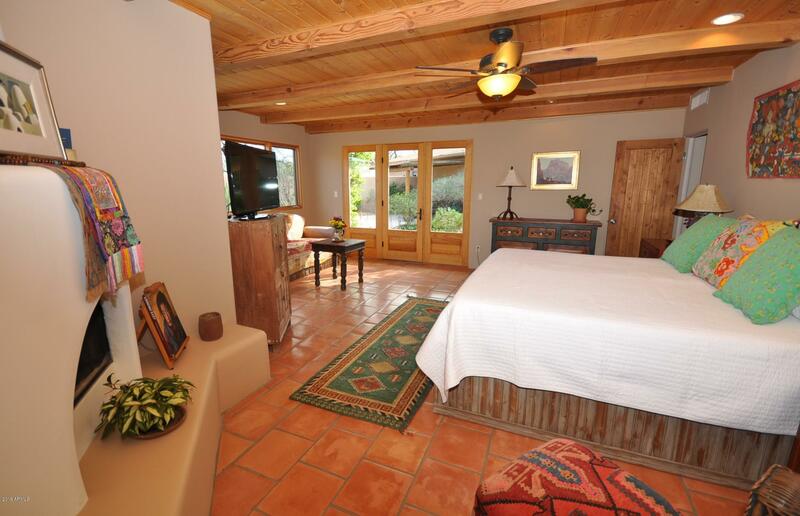 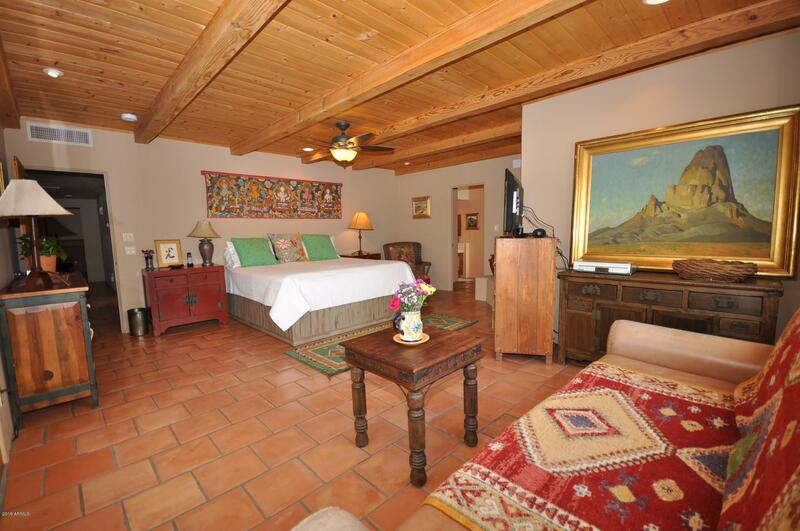 Private area and electric gated entry in the spectacular Sonoran Desert creates a 'special' home. 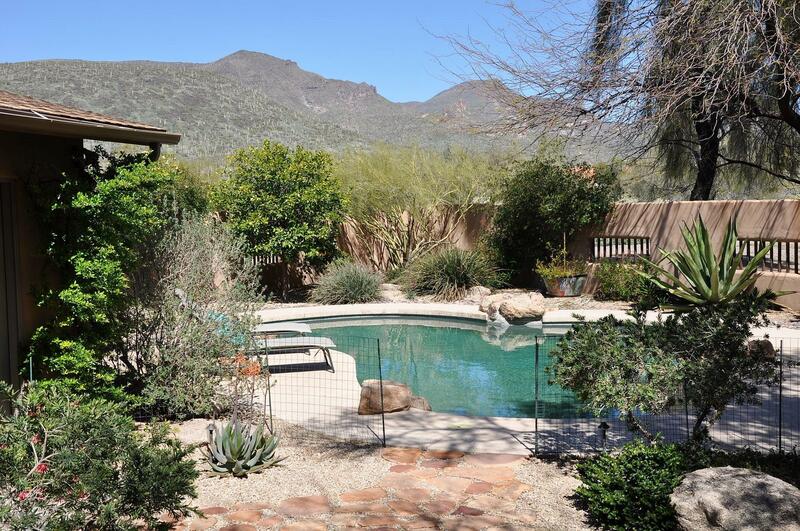 Peaceful walled back yard is perfect for pets, BBQ-ing and entertaining. 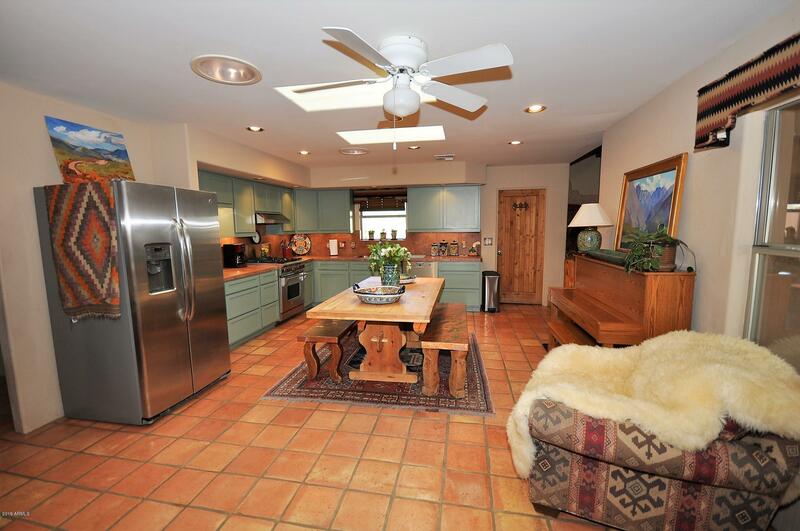 High producing private well and 3000 gallon tank, updated kitchen with Wolf gas stove and a new architectural shingle roof in 2014. 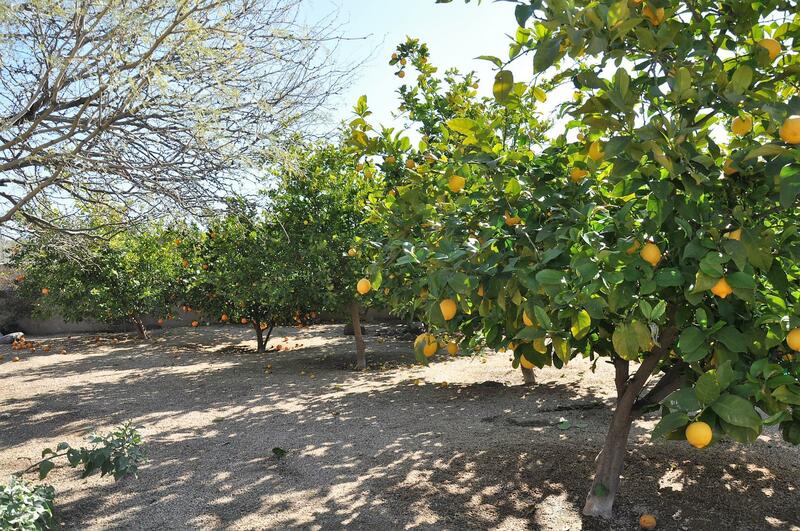 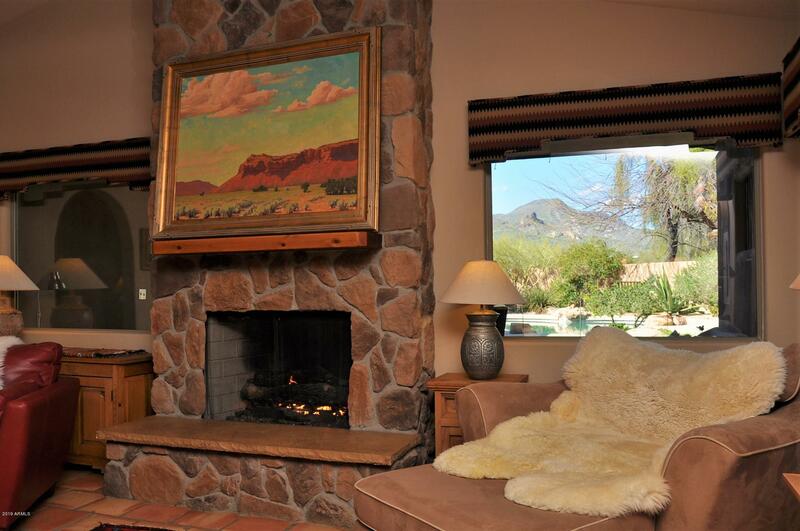 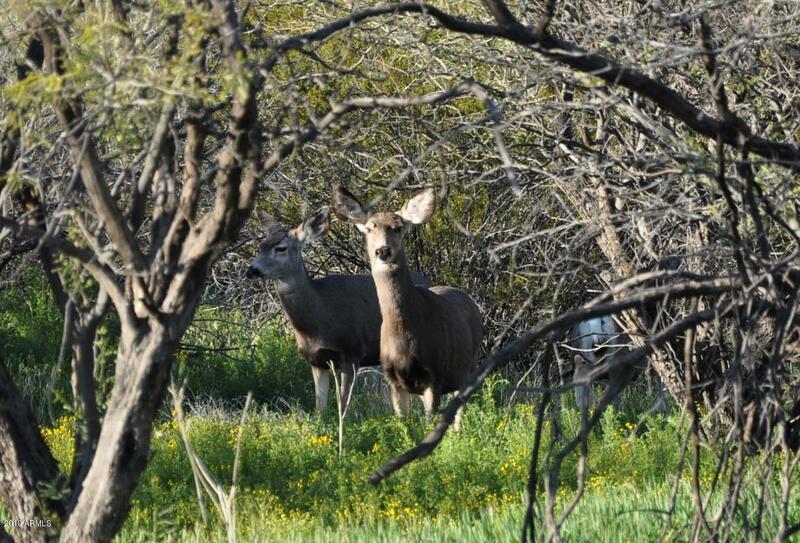 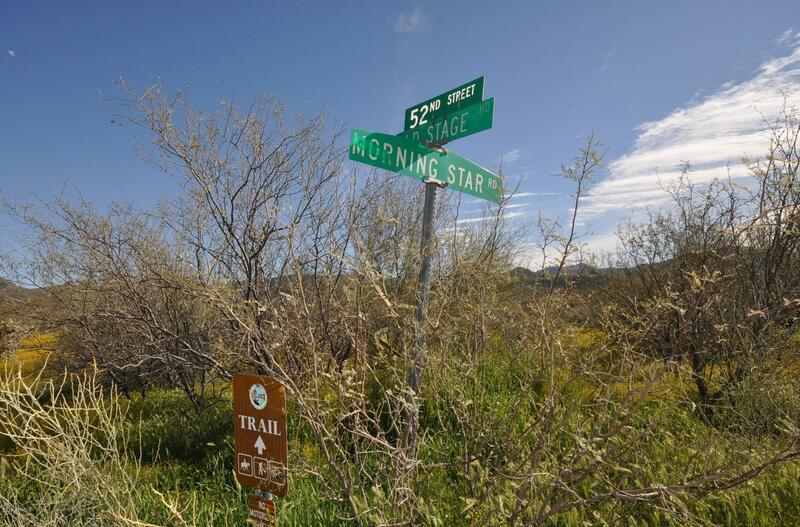 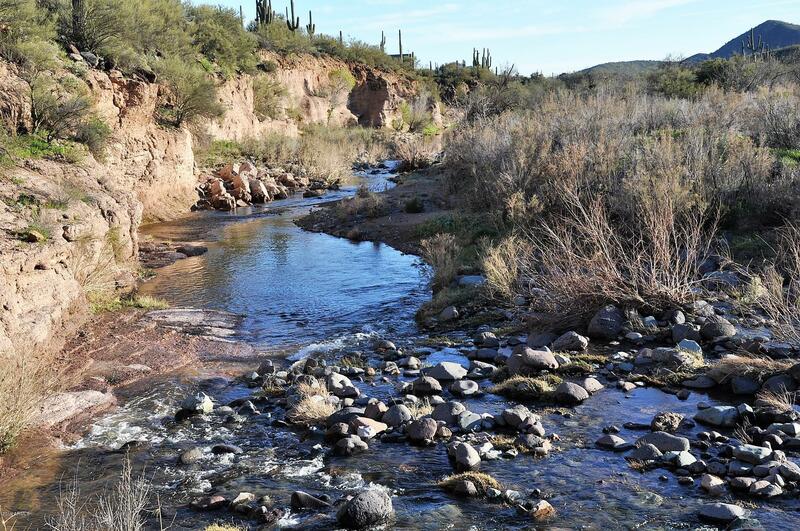 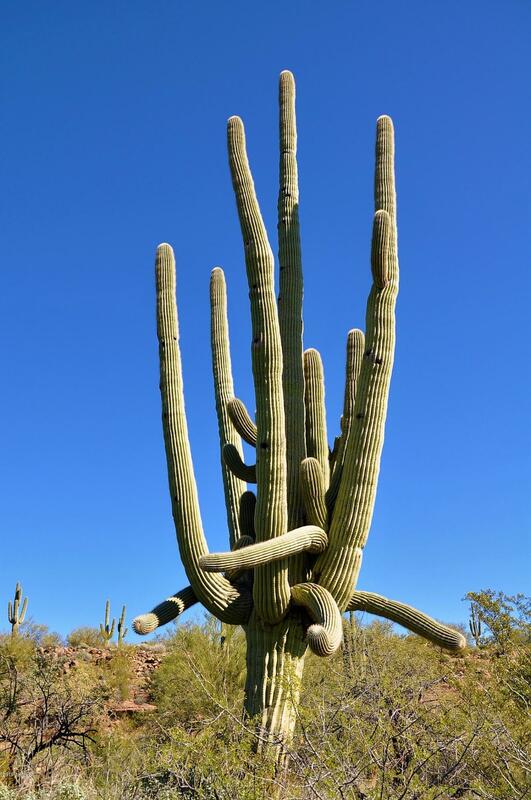 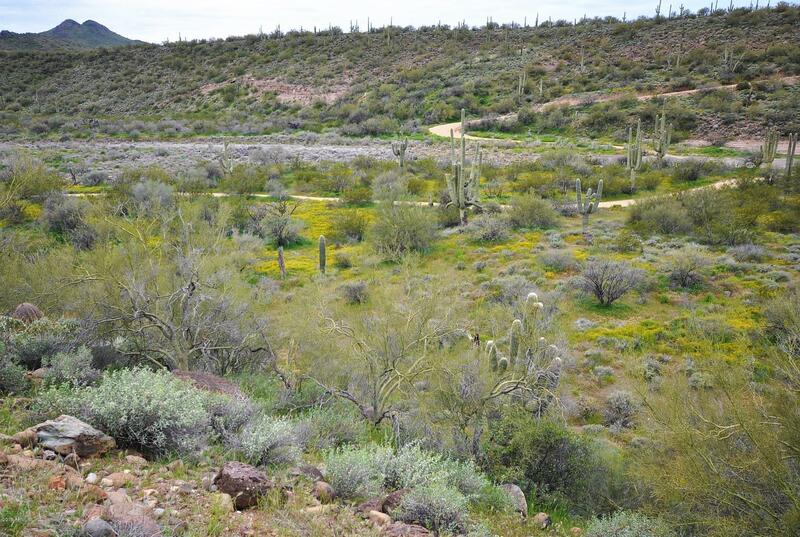 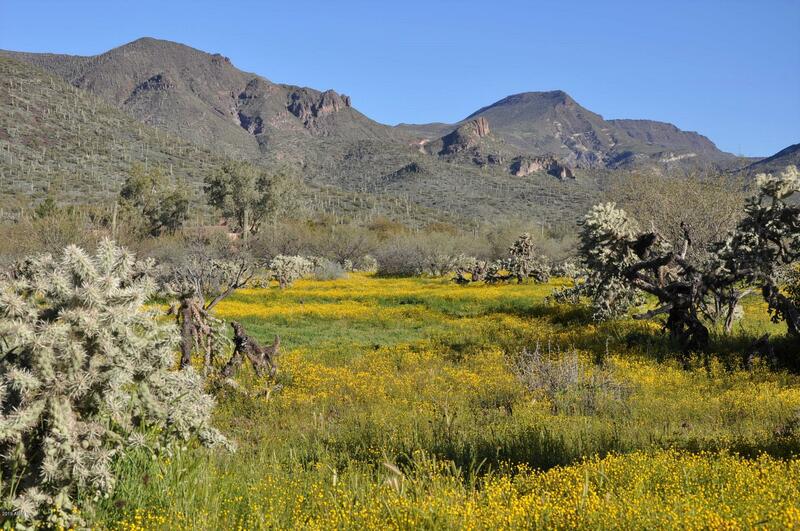 Enjoy the Sonoran Desert where it meets the Mountains of North Cave Creek. 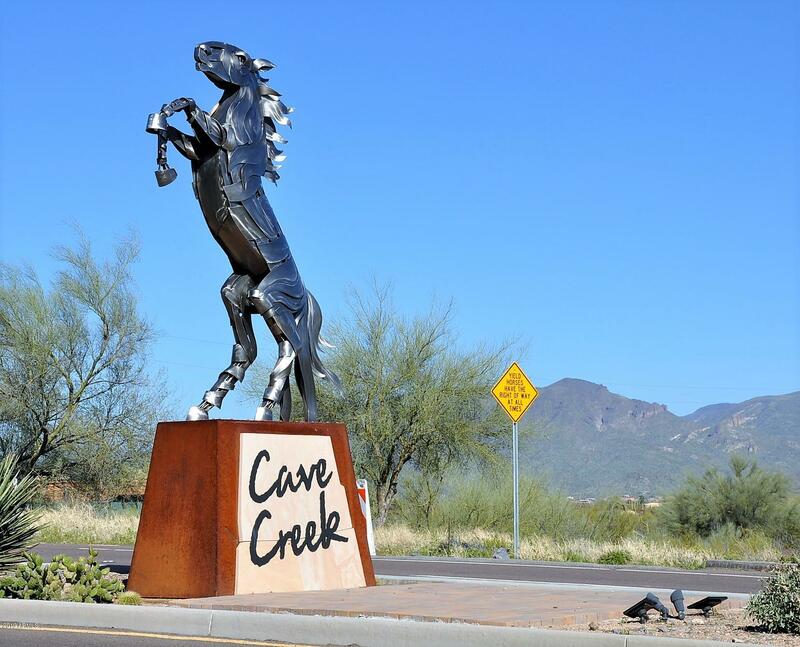 Peaceful, quiet, dark skies at night/bright stars still only 3.5 miles from the center of town of Cave Creek and about 30 miles from Sky Harbor Airport.